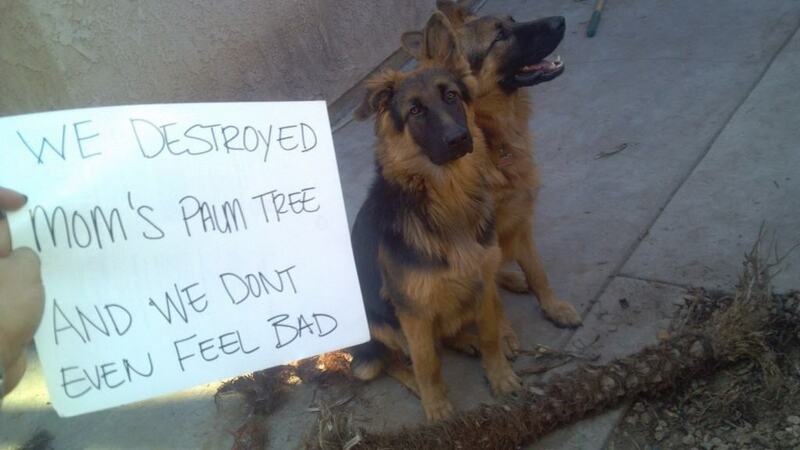 While it isn’t okay to shame people, for many reasons, it is pretty hilarious to shame your pets. 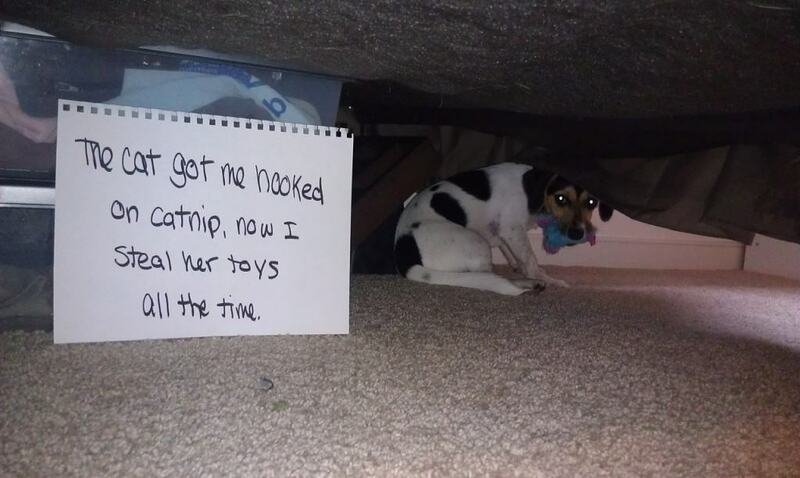 These people found clever ways to shame their dogs for the naughty dog things they’ve done. 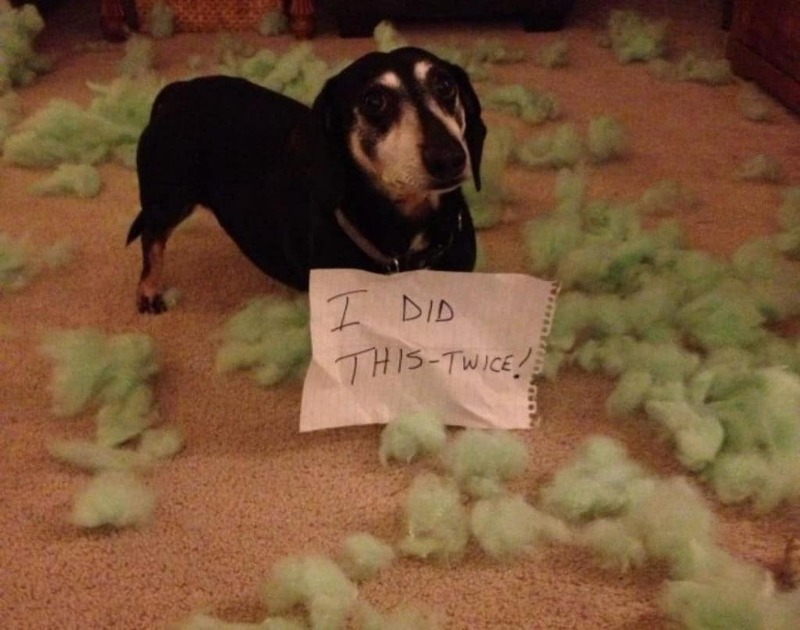 What will make you laugh the most is when you come across one your own dog has done. Some of them are shocking, but some of them are just plain hilarious. 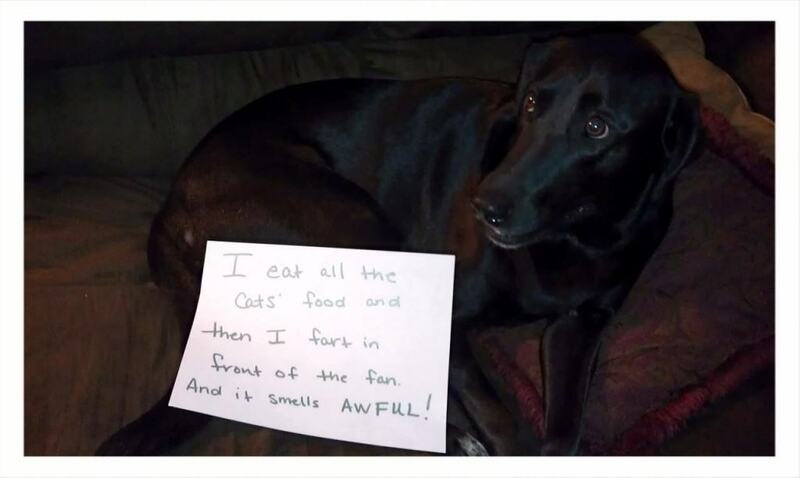 What crazy things has your dog done that just made you furious? 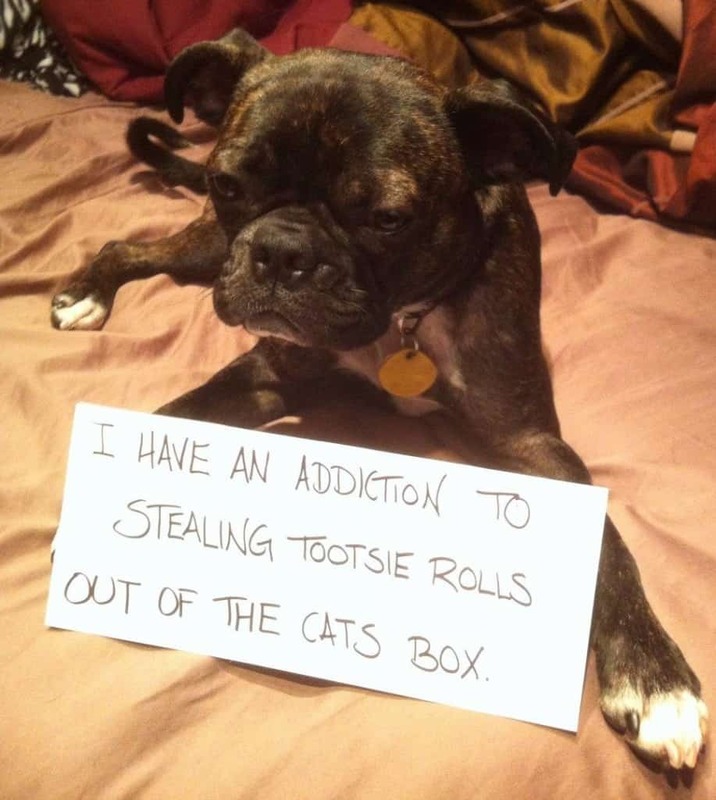 Normally it’s cats that are addicted to catnip, but this little dog is hooked and can’t get enough, so he’s resorted to theft. 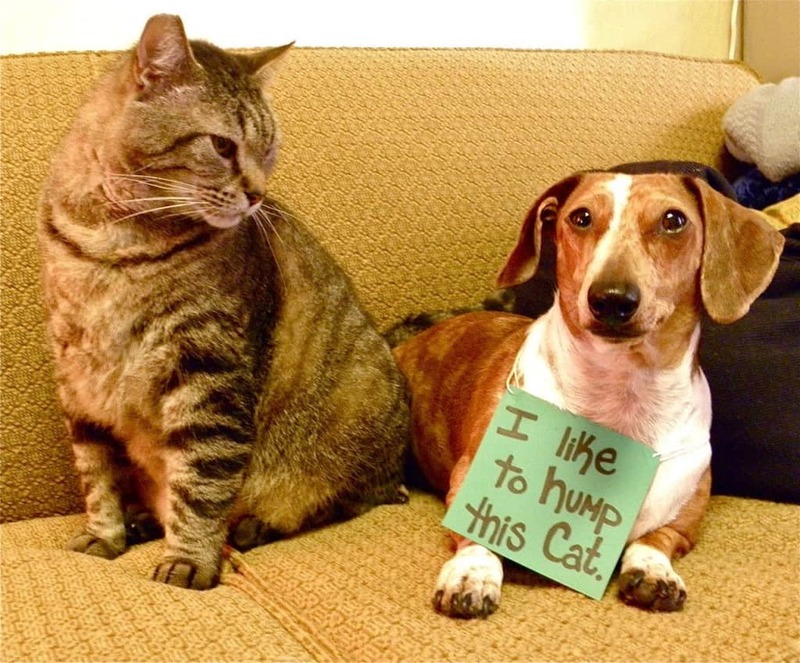 Most pet owners know the trials of wanting pets to stay off the furniture. Look at those eyes! This dog loves the cat. He doesn’t see what is wrong with that. While it can be fairly easy to teach a dog not to tear stuff up when they are young, some just have a thing for stuffing. This owners of this dog may want to start changing their pillow cases every night. Here is one reason to make sure you keep your pets in your own yard, whether it’s with fencing or keeping them on a leash. It’s not bad enough that you have to buy twice as much cat food to make up for your dogs eating habits, but then he literally rubs it in your face! This dog is very protective of his cat. 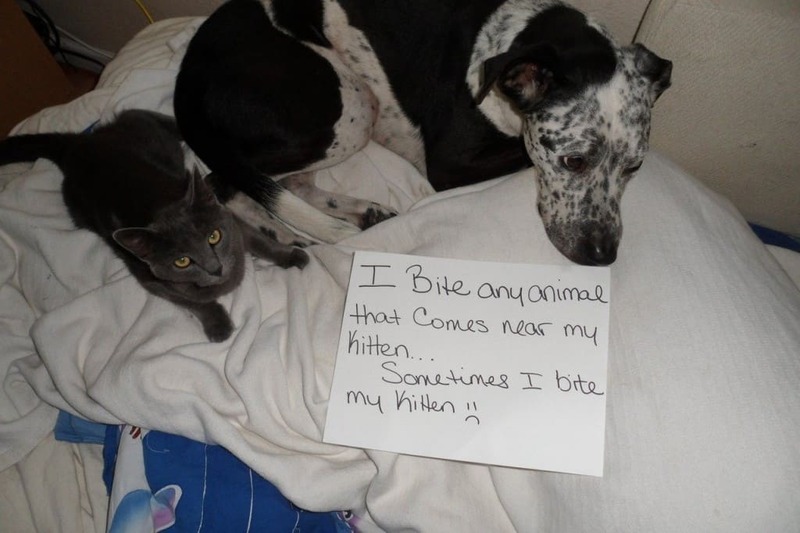 Sometimes so protective that he bites the cat. 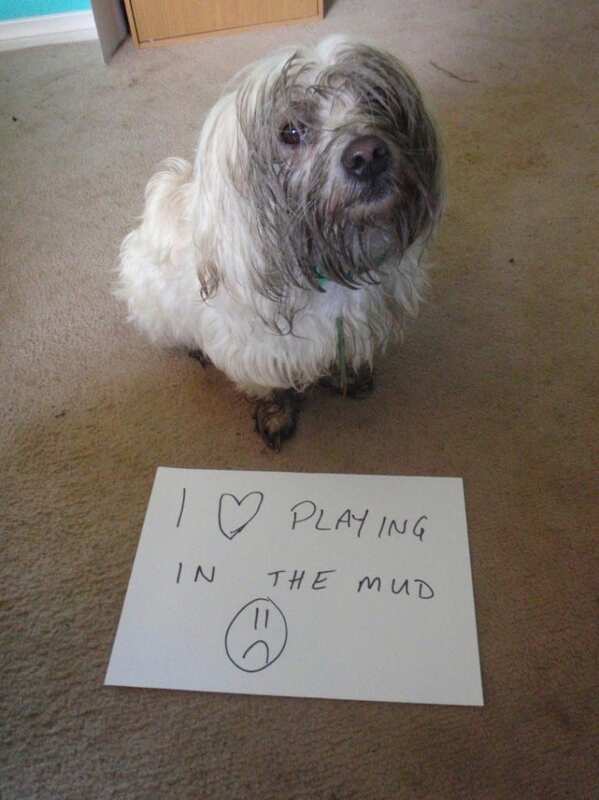 It’s not bad enough when your dog gets some muddy paws, but when you have a long haired dog that likes to get all in that mud bath, well, you get the point. 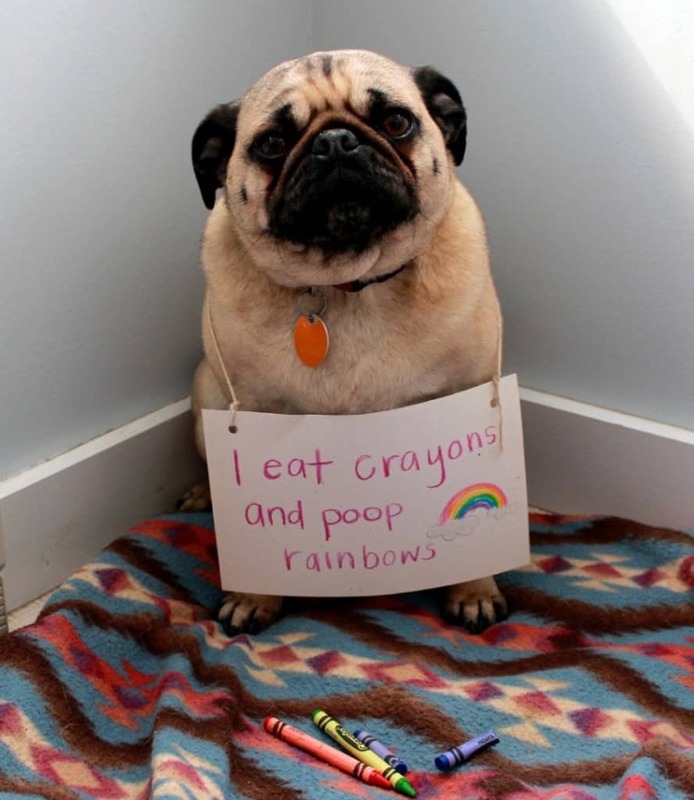 Who wouldn’t want to poop rainbows? 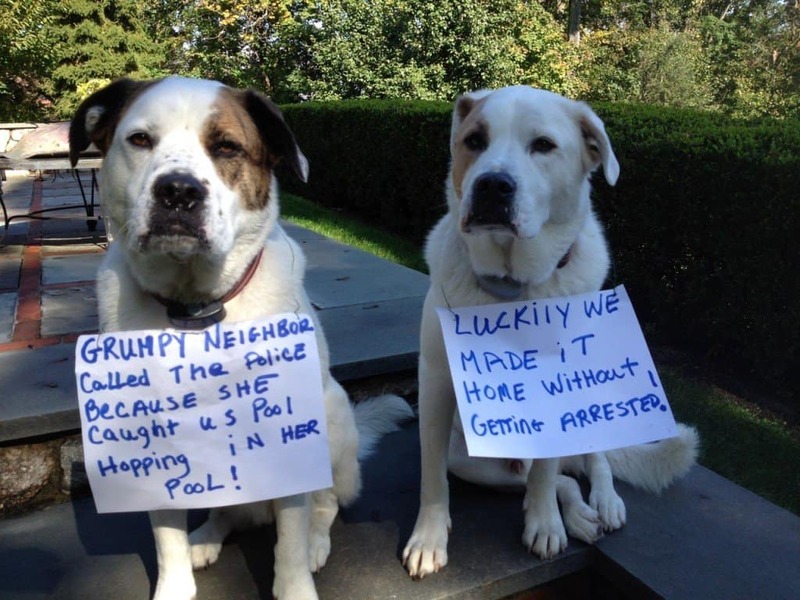 These pups offer double the trouble, especially when they destroy the yard decor. This dog may be telling his owner something, like that he’s been missing some extra fiber in his diet. 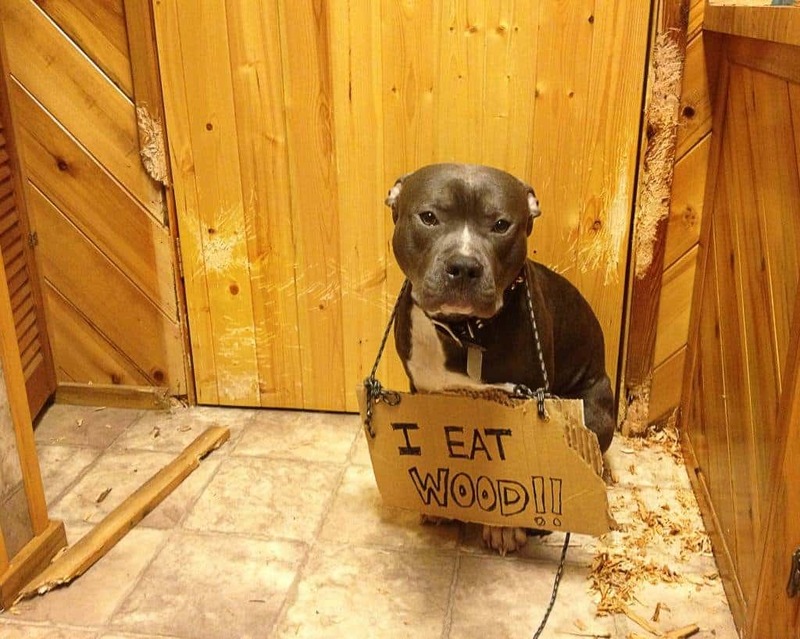 Or maybe he just needs a new chew toy. 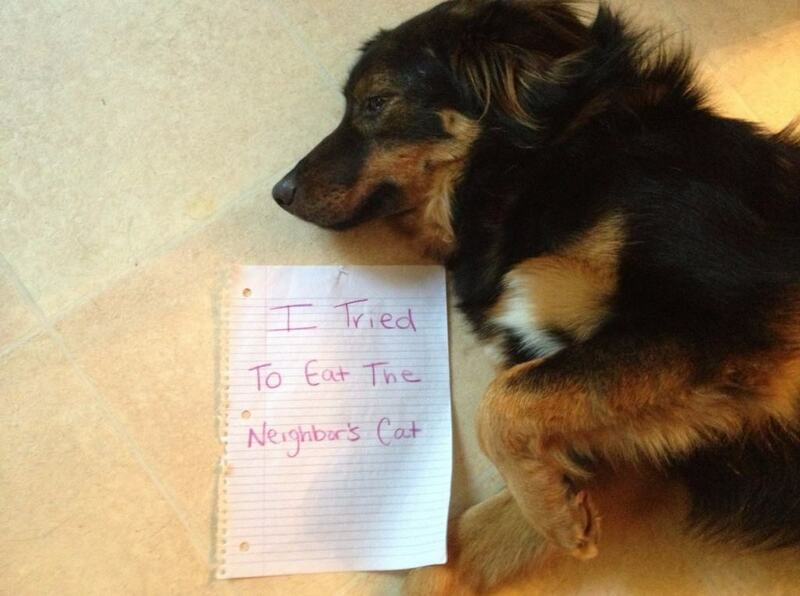 Once your dog gets a taste for cats, it’s time to stop letting him go to the neighbors. Most people prefer kisses from their dog as a thank you for back scratches. 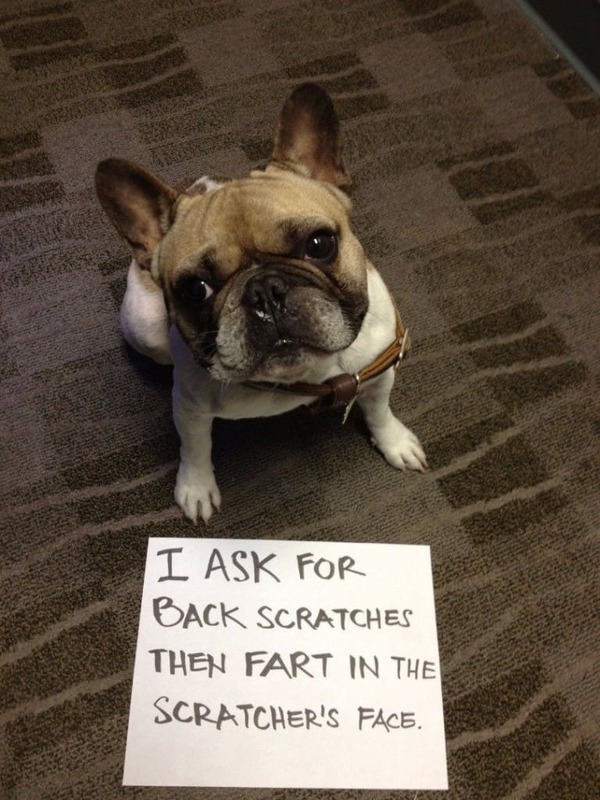 This dog offer farts, right in your face. 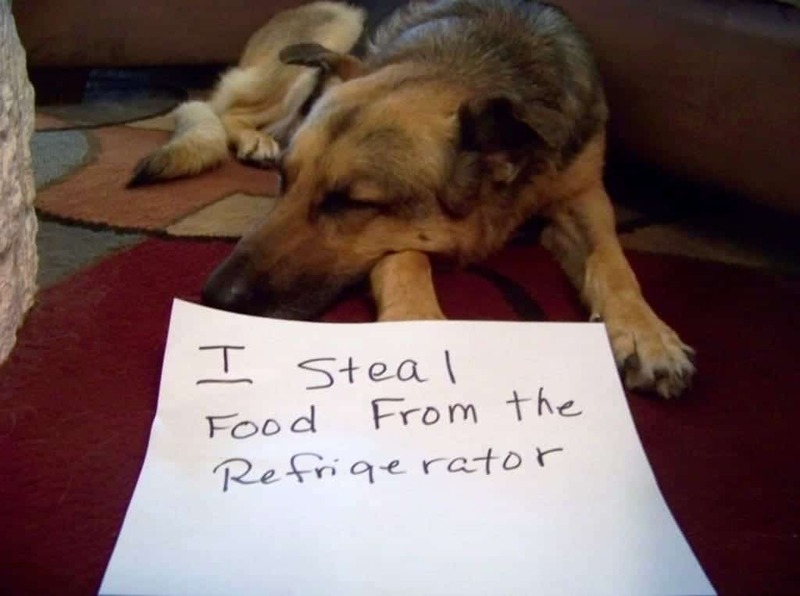 Those commercials where the dog fetches the beer from the fridge may seem great, but this is what really happens when you teach them that trick. 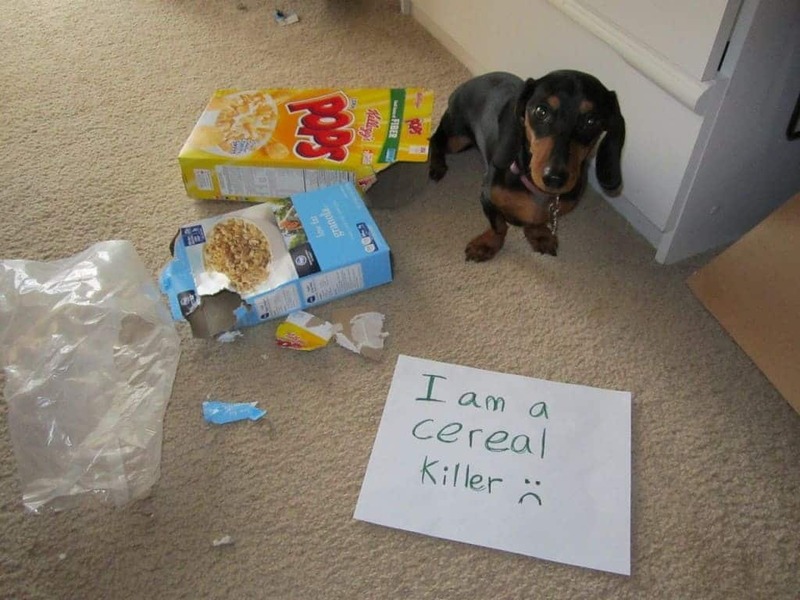 This pup has good taste in cereal. It’s a good thing he doesn’t need a knife for that. 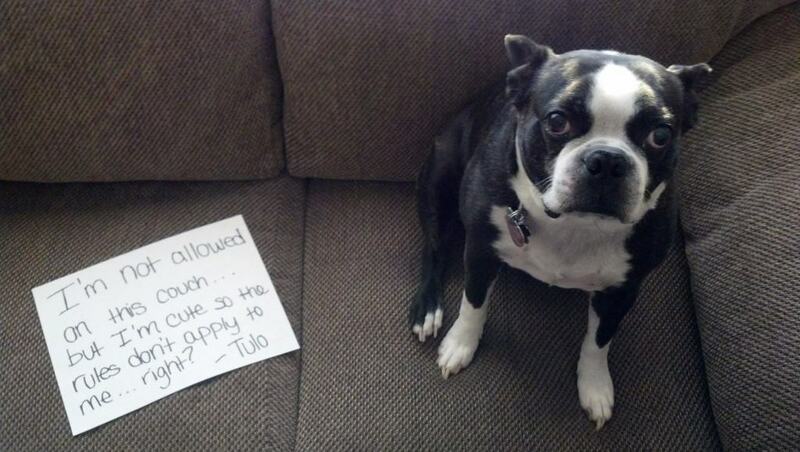 This pup ruined her dad’s perfect work record, but at least she looks guilty. This dog needs some serious therapy. And his owners need lids for their trash cans. 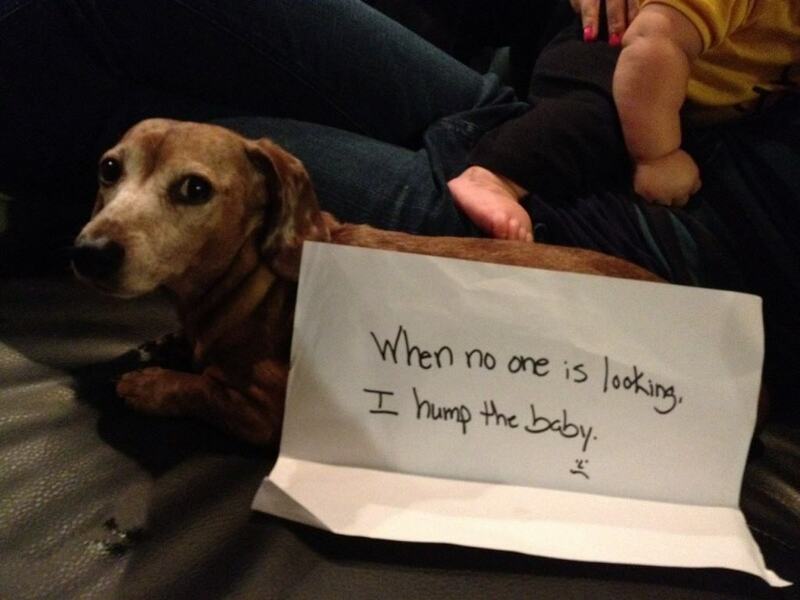 It’s one thing for a dog to hump a person’s leg, but that poor baby. This dog may leave it scarred for life.